"Hello, My Name Is Sayer. I Am The Steering Wheel Of The Future"
The I-PACE Concept previews Jaguar's first-ever electric vehicle, the production version of which will be revealed in late 2017 and will hit the road in 2018. 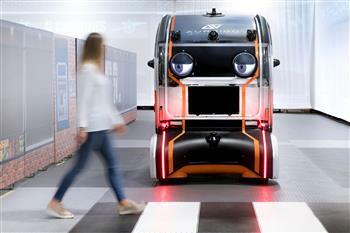 Jaguar Land Rover has fitted 'virtual eyes' to intelligent pods to understand how humans will trust self-driving vehicles, as research studies suggest that as many as 63% of pedestrians worry about how safe it will be to cross the road in the future.